Ever since I became involved in sports I had always thought of CIF as the place where the best of the best go to compete. 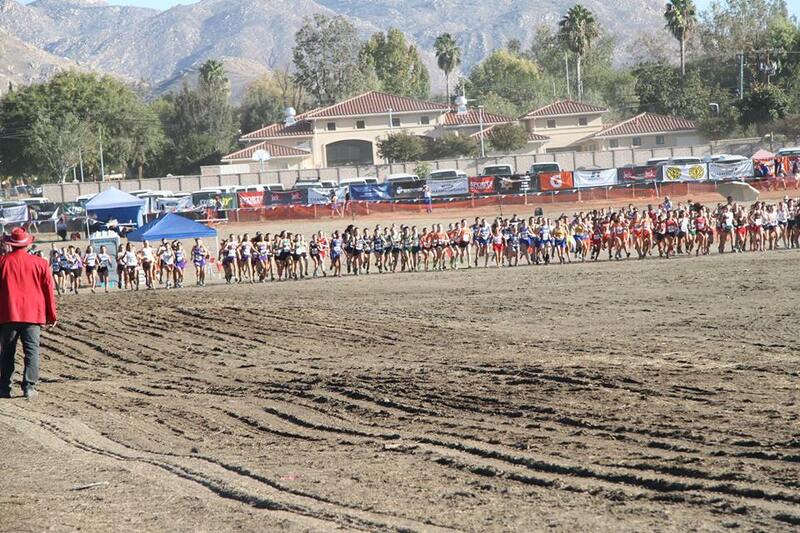 I never thought in a million years I would make it there, especially for cross country. 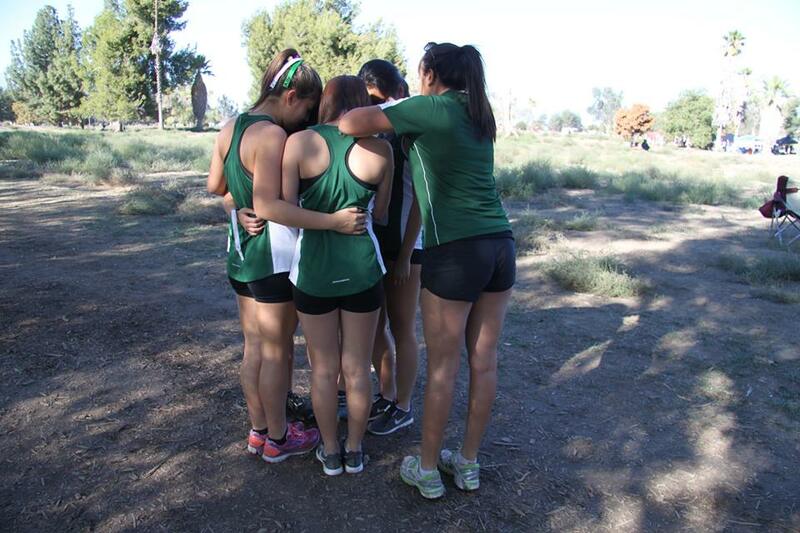 This past weekend, my high school girls’ cross country team (only consisting of five members), our two coaches and a few key members of our support group, made the long haul to Riverside, California. It was an all day event, starting from the early hours of the morning and not returning until well after the sun had gone down. The traffic was horrendous, the dust was suffocating (leaving us with the worst “runner’s cough,”) and the pain felt never ending. This is a memory I will cherish and I will always be grateful for being given this opportunity. The traffic, coughing and eternal pain, pale in comparison to the memories we made that day. The girls, some I knew from years before and some I just met this year, are now like sisters to me. All the long practices, blisters, sweat, tears and countless times of feeling like our chests were going to explode or we were going to lose our lunches, brought us together in an unexplainable bond. Running has changed me and made me into the person I am. It has taught me so much more than just how to breathe or use my arms to make it up a hill. It has done more than just help me get into shape. It has been tough and very painful but it has taught me a sense of commitment, strength, and family. I would have never experianced any of this if it wasn’t for my coach. Our coach shared with us after the race that we were the first team he’s ever taken to CIF. When he told us how proud he was and how much growth he’s seen in us, it brought tears to my eyes. I have been running for him since my freshman year. I am now a senior and this past race was my final one. This man that I call a coach, teacher, advisor, and friend is the most generous and inspiring man I know. He has been there cheering me on and encouraging me more times than I can count. He is like a second father to me, pushing me to the point that I want to yell back, but always knowing what’s best for me, supporting me to no end. Turning my jersey in means so much more than just an end to a sports season. It is an end to that chapter in my life, but not an end to the friendship that was made. 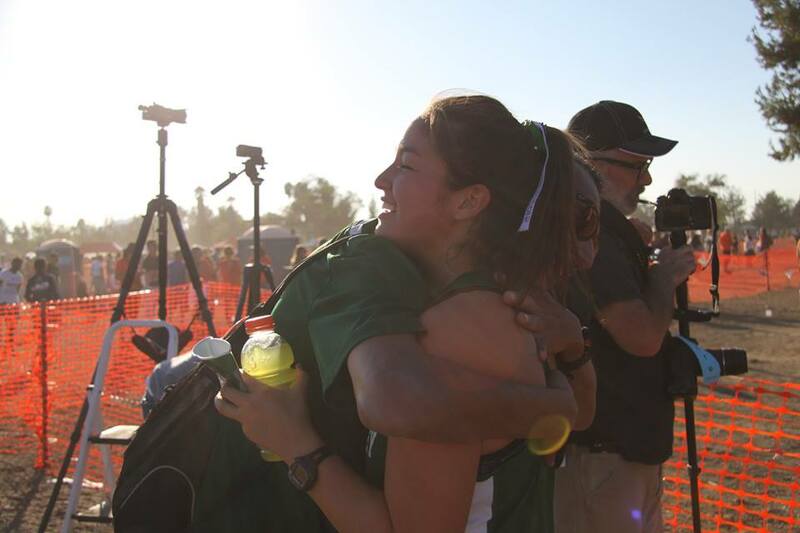 I know that will always be there and he will always be there, cheering me on at the finish line. He didn’t have headphones in. His ears weren’t turned off. He understands when something has gone too far. But he doesn’t have guilt. He comes from the Earth. But he didn’t love her. She wanted to break free from his grasp. She wanted to terminate the unwanted kisses. She wanted to have her right to walk away. But decided to say yes for the both of them. He had left a girl. 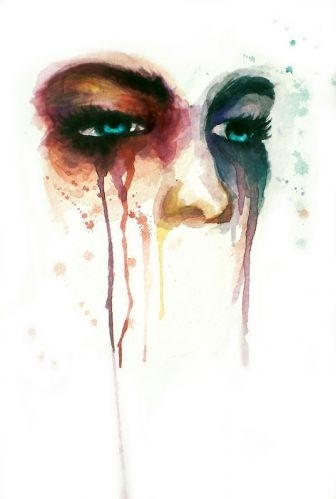 A poor girl with a life-long nightmare. He didn’t let her say no. 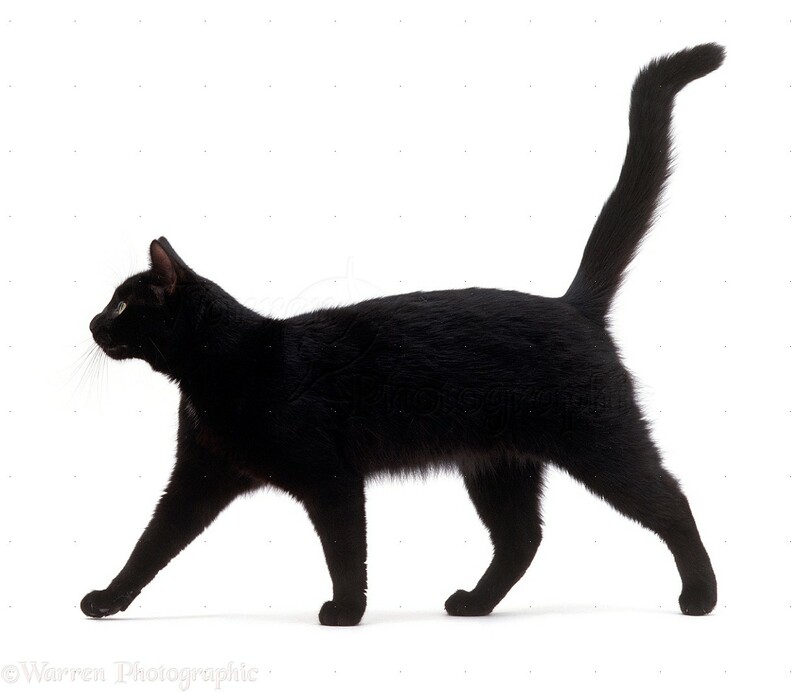 With all that happened in the world this past Friday, there’s no way I can help it – I’ve become a little superstitious. Through many terrorist attacks, the world truly changed. And they all occurred on Friday the 13th, a day known to be bad luck. Although worse than others, these attacks are not the first thing to go wrong on this unlucky day. In October of 1307, Crusaders were captured, tortured, and later killed. On Friday the 13th of course. Flash forward a few years to 1940, when the Nazis bombed Buckingham Palace. In 1970, a cyclone hit Bangladesh, killing 500,000, later being classified as one of the most catastrophic natural disasters in the world. In 1972, a plane crashed in the Andes, and 12 died. Even creepier – on Friday the 13th in 1989 a virus crashed IBM computers in Britain. In 2012 a cruise ship, by the name of Costa Concordia sank, killing over 3o people. P.G.P. something also known as the Pre Game Poop. If you’re a real athlete, then you’ve definitely had a run in with this situation once or twice. For those of you who don’t know (the non-athletes), the P.G.P. is no joking matter. It doesn’t happen during just one certain sport, it is all, it doesn’t affect just one type of athlete, it is all. The athletes who experience this range from inexperienced high school athletes to professional athletes. It is a stomach-wrenching sensation that plagues many athletes right before they set out for competition. It can hit at anytime, but the most common time for it to set in is about five minutes before starting something that won’t allow any stopping to use the bathroom. This sensation will hit and you will make a mad dash for the bathroom at the last minute. However, once you actually get through the long line (due to other people that are experiencing P.G.P) you realize that you actually don’t have to go to the bathroom and it is really just your nerves acting up. On Instagram there is a flurry of planned, blurry outfit photos with #ootd or pictures of one’s 15 bazillion Cartier Love Bracelets. But, my favorite fashion photos are the ones captured on the move, encompassing one’s street style (hence the title). So, let’s jump in. This woman has some of the best street style looks I have ever seen. She maintains a formal look while still able to pull it off in the most casual of circumstances. 10/10, Palermo consistently hits it out of the ball park with her looks, without even trying. Her style is a modernized classic, and is able to integrate trends into her look while still staying true to her personal style. Editor-in- Chief of Vogue Paris, Emmanuelle Alt has the classic, killer french style I love. Classic and simplistic, but never boring, Emmanuelle Alt always has awe-worthy looks. Amal Clooney, British lawyer and, yes, you guessed it,George Clooney’s Wife, has a complex, yet not too trendy style. She maintains a perfect balance, and always looks professional. Miranda Kerr’s style has been on my fashion radar since I was 11 years old. Thats a pretty long time to love a person’s style, considering it is ever-changing. Miranda is able to maintain a classic look (see a pattern in these celeb’s style?) while still having fun with her outfits. This past week or so there has been quite a few arguments over Starbucks’ new holiday cups and there is outrage. Instead of having the snowmen, reindeer or all those Biblically correct Christmas symbols, they have gone for red. Cue maniacal devil laugh. I for one, like so many others in the population do not care…at all. I don’t understand why it matters if I drink a delicious holiday drink out of a plain red cup or a cup with Santa’s sleigh on it. Also, its called the holiday season for a reason. There are other holidays beside Christmas. I know its crazy to think. These holidays have been neglected by many, so I for one think it’s a good idea to have a holiday neutral cup if we are looking on the bright side of things. So put out your torches or use them to heat your holiday drinks and just enjoy the most wonderful time of the year. The Broncos defense was extra aggressive last Sunday when they visited the Indianapolis Colts. It’s safe to say that the Broncos defense is the best in the NFL and their secondary prides themselves as a “no fly zone.” However, the Andrew Luck led offense of the Colts easily picked apart the Broncos defense and this angered many defensive players. Frustrated about his team’s performance, Aqib Talib, a corner of the Denver Broncos, took to unorthodox methods of playing defense. On one of the last plays of the game, Colts tight end Dwayne Allen and Von Miller were jawing when Aqib ran up and stuck his fingers in Allen’s helmet and purposely poked Allen’s eye. Talib has been suspended by the NFL for one game. He was suspended ONE game for trying to gouge another player’s eyes out. 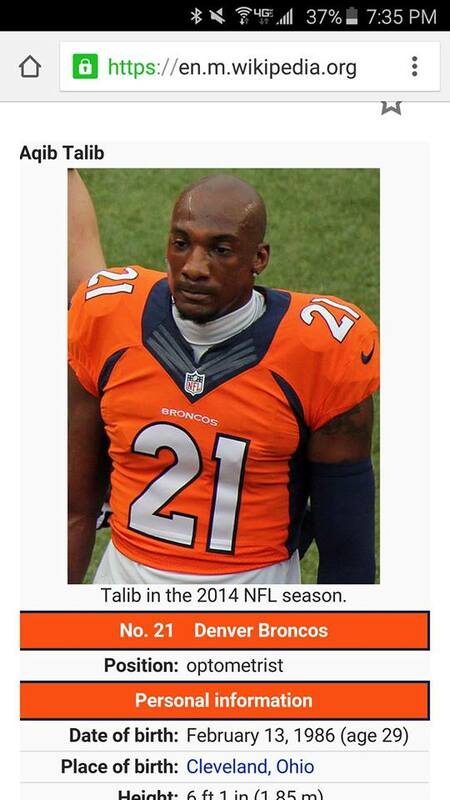 Talib definitely should be suspended more than one game. Oh, and someone had the great idea of changing Talib’s position from cornerback to optometrist.